Award winning Grade I listed garden designed by Harold Peto. Tranquil and romantic hillside setting with magnificent views. Italian style with terraces, colonnades, statues and cypress trees. Cloisters built by Peto house his collection of classical treasures. The Gardens also host annual opera and jazz festivals. Fabulously designed 5 acre garden brimming with over 2,000 roses and 2,000 herbs. The marvellous spring bulbs display includes over 130,000 tulips. The Celtic cross knot garden, herbaceous borders, laburnum tunnel, autumn foliage. There is a woodland walk to river, waterfall and monastic fish ponds. The Garden was created by the “Naked Gardeners”. Beautiful 18th century landscape garden owned by the National Trust. 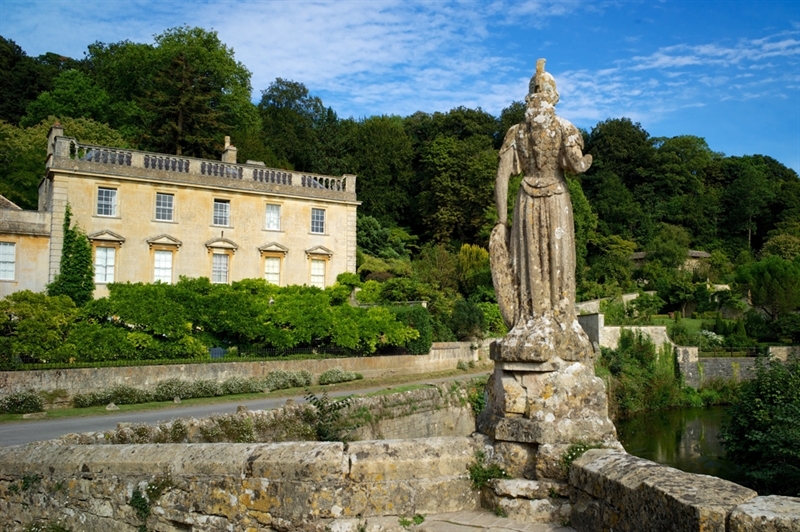 It is set in a sweeping valley with fabulous views of Bath and has a serpentine lake, cascade and ornamental Palladian bridge (one of only four in the world). Capability Brown and poet Alexander Pope contributed towards its design. The Arboretum has 16,000 trees - some of the UK’s oldest, rarest or largest. There are 600 acres with 17 miles of paths to explore and something to see each season. Spring – magnolias, rhododendrons and bluebells. Summer – leafy glades, hydrangeas. Autumn – world famous colourful foliage, National Japanese Maple Collection. Winter – illuminated enchanted wood. Delightful English country garden owned by the National Trust. Peaceful water gardens surrounded by irises, lilies or rich autumn foliage, an Arboretum with spring bulbs, a Kitchen garden and orchard.